Fringe is IN! Playful tassels grace necklaces and earrings for a feminine yet bold look. 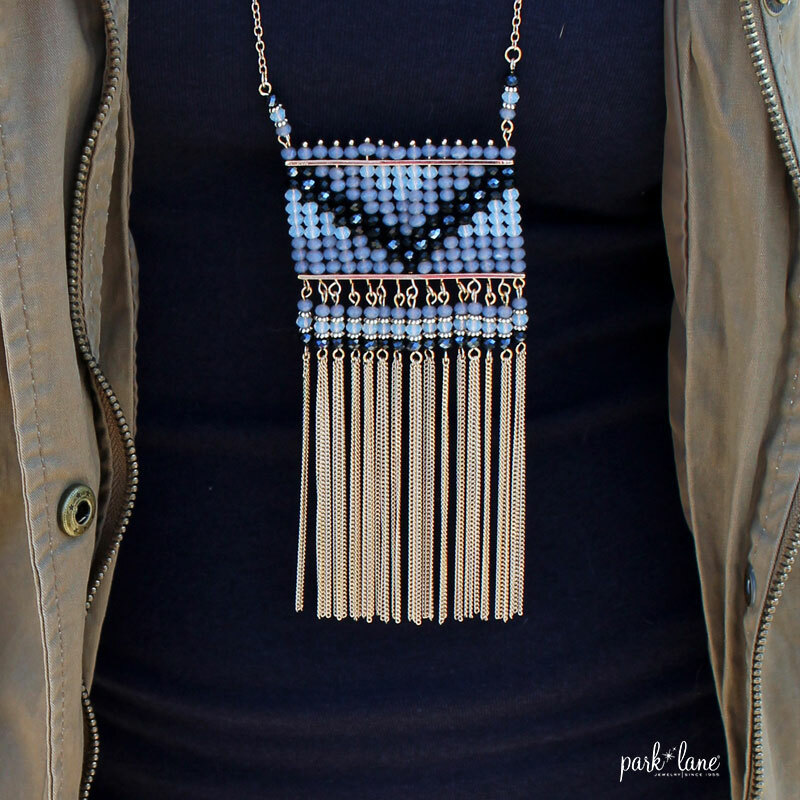 Pair a fringe necklace with a little black dress or a simple white t-shirt with jeans for an effortless flair. It’s an absolute must to add a tinge of fringe to your look this spring. Park Lane’s got your fringe binge covered with PUNTA CANA.